Built-in Wi-Fi® for simple operator internet connection. Real-Time Alerts indicate the status of doors via email or push notifications. Smooth Start/Stop Reduces wear for lasting performance. 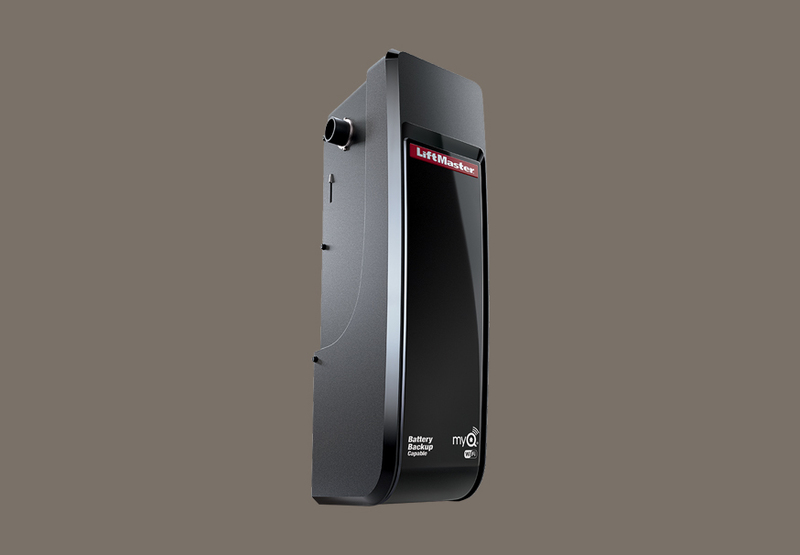 Battery Backup Capable: Ensures access even when the power’s out. Security+ 2.0® Safeguards facility access with rolling code technology, opening for registered devices only. The Protector System® Auto-Reverses the door if an entrapment protection device detects an obstruction.